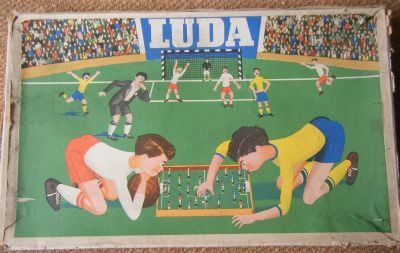 An extremely common Eastern European game (Hungary I think) that has been produced for decades. 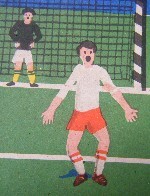 Classic 'figure on spring' in hollow in the pitch format. Quite fun to play although the players do not have any variety in where the ball goes only the power. 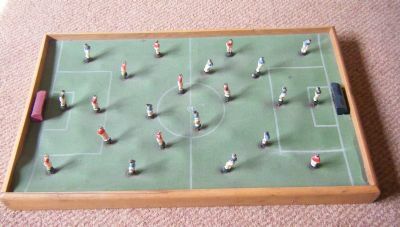 Extremely solid wooden playing pitch with eleven a side teams on metal springs and a ball bearing. 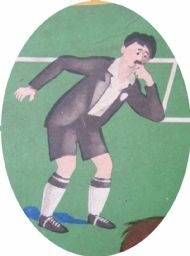 He looks a trifle worried, maybe that nice suit will get ruined. 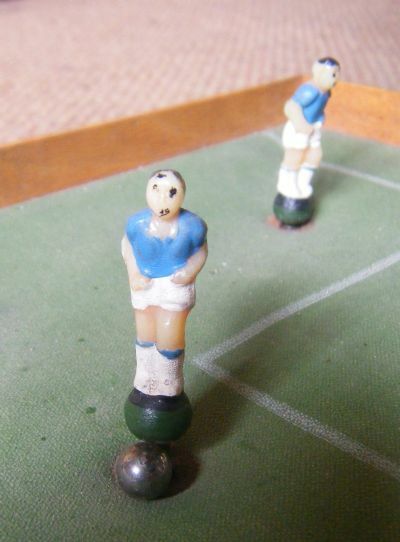 Crudely moulded plastic players with basic painting but the sock tops are a nice touch. 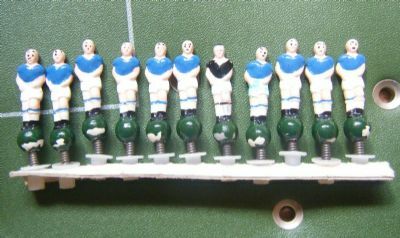 They look great when presented on their holder card strip. Black shirted keepers always look so cool.